How upgrade PAW to version 39? Backup will restart the services. After the backup is done, the PAW should work as before. The backup is stored in folders under /backup as shown above. 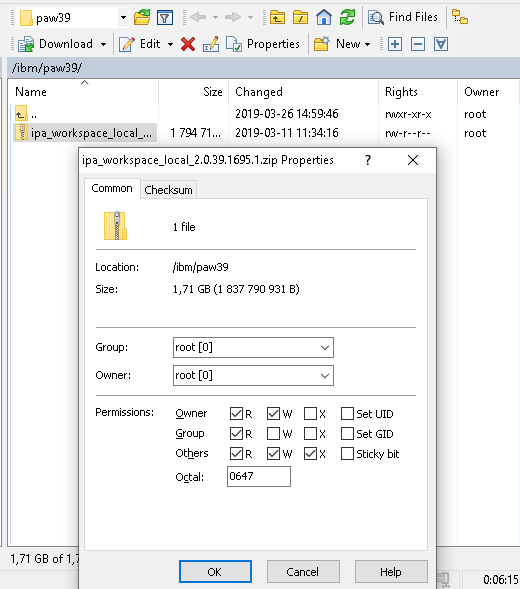 Start WINSCP to copy the file to your linux server from windows. Move to the folder where the ipa file is stored, and to the folder where you want it. Drag the file over in the WINSCP program. Set the rights for the file in the WINSCP program, so the others have access to the file. The files you copy depend on your installation. Enter ctrl+o to save the file, press enter. 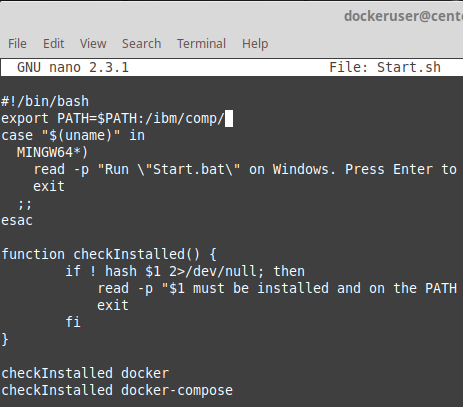 Enter ctrl+x to exit nano text editor. Enter command below in PAW folder to start paw upgrade. 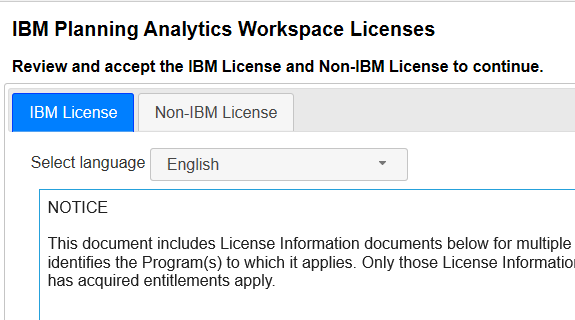 Press Y to start IBM Planning Analytics Workspace Administration Tool. 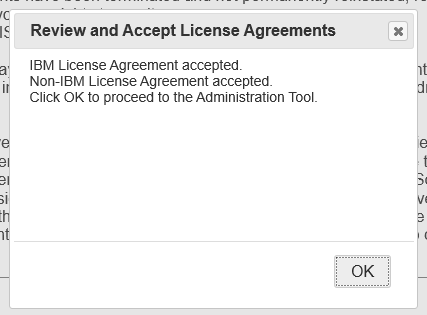 Scroll down and and accept the IBM License and Non-IBM License to continue. Check that the TM1 Application Server Gateway URI and the other values is correct, and press Validate. Click on Status tab and click on Restart button. Wait until all is started and test that it is working. Stop the Administration Tool from PUTTY before you leave the Linux server. A security scan show that the PAW on port 443 try to use old ciphers sets. specification for HTTP/2, these ciphers have been blacklisted. Configure the server to disable support for static key cipher suites. 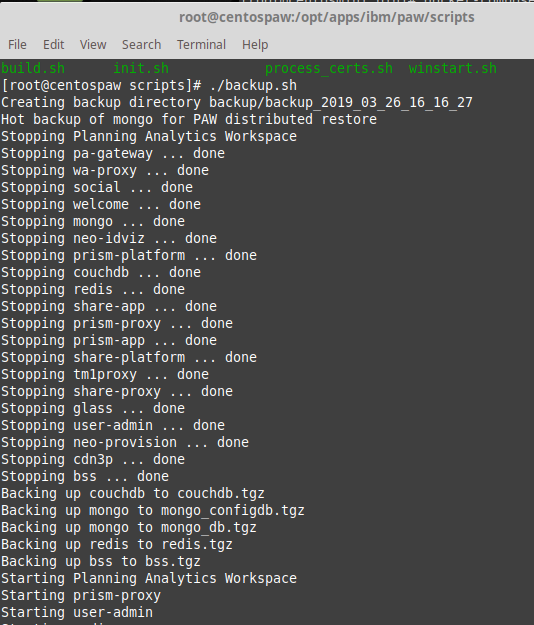 Login to the PAW Linux server with PUTTY. Change to the user who have access to the paw folder (e.g. 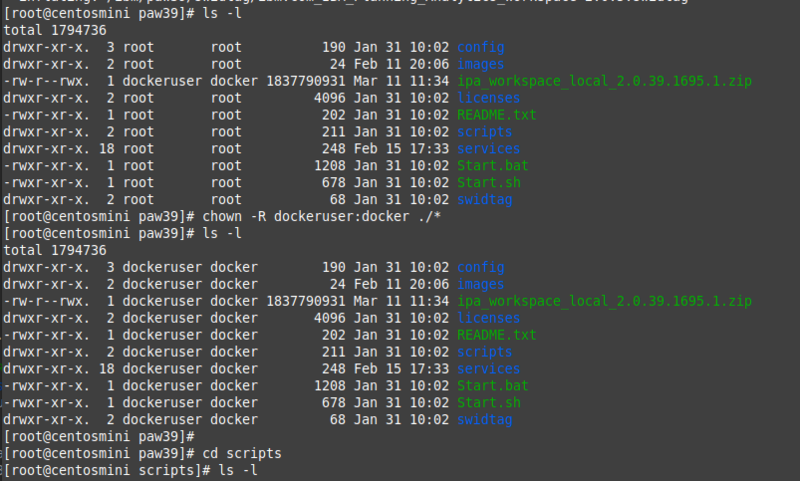 dockeruser). 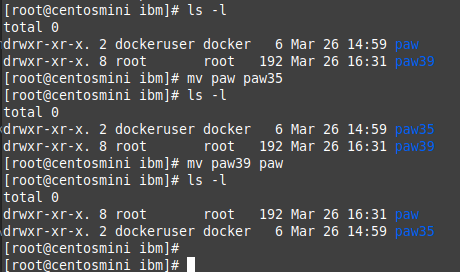 Go to the /ibm/paw/config folder. Check the content of defaults.env with the command more defaults.env to see the current used values. If it does not work, revert back to the original settings shown below, by simple remove the two lines from the paw.env file. above means all protocols except the one listed after the minus, so no SSLv2 or SSLv3 or TLSv1 or TLSv1.1, leaving only TLSv1.2 to show. The way you created the certificate request when you setup SSL(TLS) for PAW, can affect the ciphers you can use. Inside the Cognos Configuration the TM1 Admin server value for Support pre-TLS v1.2 clients are set to TRUE, this should be set to False to solve above issue. At the restart of the TM1 Admin Server, all the TM1 running instances will be restarted, this can take time. Do this at a planned date. TM1 Admin Server Certificate Version Specifies which version of the TM1 generated certificates to use. By default, the 1024-bit encryption version of the TM1 generated certificates is used. Change this property only if you want to use the new 2048-bit encryption version of the default certificates. You can use the new version with old and new TM1 clients, but you must configure the clients to use the new certificate authority file. Note This property does not apply if you are using your own certificates. Error message when I on some TI processes in PAW, right click and select Edit Process. Other process work fine to open in PAW. The paw is try to show a to large preview of the selection. If the process have a cube view as data source, and that is large, like All, then you can get this error. It will work for a smaller cube view. When you edit a TI process in TM1 Architect, this error does not show. You can get same behavior in TM1 Architect, if you open a cube, and try to view all content. All: Maximum memory for action exceeded. View may be too large. You can still edit the TI process, so this warning should not be of a concern. Check your TM1S.CFG file so the value MaximumViewSize is not set to a low value. In most cases you should manage with the default values. 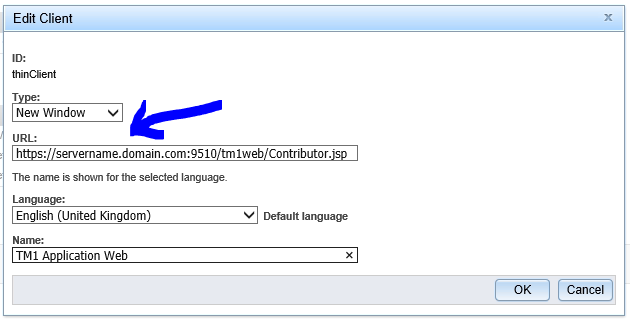 After apply SSL in TM1WEB, the node for a contributor application show a blank page in IE. But it works fine in Chrome. The information you have entered on this page will be sent over an insecure connection and could be read by a third party. Are you sure you want to send this information? Under clients mark the “TM1 Application Web” and click on blue Edit link. Try now again to open the node in TM1 Application Web with Internet Explorer. The servername and port number should be changed to the ones you are using in your setup of PA2. In IE go to the icon for settings menu. Click on Compatibility View Settings. Deselect Display intranet sites in Compatibility View. Deselect Use Microsoft compatibility lists. Close your Internet Explorer browser. Launch your Internet Explorer 11 browser and clear the cache. Surf to http://paservername.domain.com:9510/pmpsvc to test again. I want a list of all TM1SERVER.LOG files on the servers D drive, to find what TM1 instances applications logs I should inspect with my log file monitor software. On one of the servers, log in as a local administrator, that also are admin on all the other servers. Create a text file with the names of the servers. Go to a DOS prompt as administrator and run above file. It will create a file for each server in the d:\temp folder on the server where you run the cmd file. Z is the D drive on the server. The path is different, depends on where you store the TM1 instances. After installation of PAX on Windows 7 with Office 365, you only can get PAX add in to work if you start Excel as “Run as Administrator”. If you start Excel as normal user you are missing the add-in “IBM Framework for Office”. You can save above in NOTEPAD, name the file addvalues.reg. Then if you double click (to run it) on it it will add the values to registry on your computer (if you have the rights to do so). Planning Analytics for Microsoft Excel is available as a 32-bit or 64-bit installation. The corresponding installation must be installed on either the 32-bit or 64-bit version of Microsoft Office. You have administrative privileges on the computer. Microsoft .NET Framework 4.6.1 or later is installed. Any previous version of IBM Planning Analytics for Microsoft Excel is uninstalled. If you are installing a version of Planning Analytics for Microsoft Excel that is older than the version currently installed, back up your connection data. Replacing a newer version of Planning Analytics for Microsoft Excel with an older version might cause your connection data to be lost. Acquire the appropriate license to use your IBM Cognos for Microsoft Office product. On the Start menu, choose Run. In the Open box, enter regedit.exe. You must have administrative credentials to run regedit.exe. Note that the path to the Full subkey includes the subkey Net Framework rather than .NET Framework. If the Full subkey is not present, then you do not have the .NET Framework 4.5 or later installed. Check for a DWORD value named Release. The existence of the Release DWORD indicates that the .NET Framework 4.5 or newer has been installed on that computer. When run a TI process to export data to a csv file you get a error from inside your TM1 Application. You have recently moved from TM1 to Planning Analytics, and also to a new Operating System: Microsoft Windows 2016. The file share you try to export to is on a Linux server. It works fine from your old Microsoft Windows 2008 server. You can’t connect to the file share because it’s not secure. This share requires the obsolete SMB1 protocol, which is unsafe and could expose your system to attack. The New Windows Server 2016 have been setup to demand the newer more secure file share (SMB) protocol, and the Linux server is of a older OS version that does not support it. Try to use a different file share, where both old linux program and Micosoft Windows 2016 server have access. If above give error, check the firewall settings in the network. Can say “System error 64 has occurred” if you do not have correct SMB access. Check also that the IBM TM1 instance is run under a domain service account, and not Local System. Local System account can not access network file shares. Red Hat Enterprise Linux 7.2, which includes samba-4.2, and later comes with proper support for SMBv2 protocol, but earlier releases of Red Hat Enterprise Linux only support SMBv1. They use the same protocols to talk to each other. Samba was originally made to emulate SMB, so that linux pcs could share files with Windows PCs. Now MACs also have samba, so they support SMB. So MACS Windows and Linux can all happily talk via Samba & SMB. With each new version of Windows, a new SMB version comes out. Then Samba team has to be ready to update their code to support the new features in SMB. You can not interrogate which SMB it is using in Windows 7. The latest updates of Windows 10 and Windows Server 2016, the support for SMB1 is automatically removed by Microsoft, if SMB1 is not used. Restart computer or server after every change. When insert a custom report or dynamic report on this sheet, you get #NAME? instead of the numbers for the formula =DBRW($A$1,$A10,$B$2,E$6,$B$4,$B$3). Click on Rebuild sheet does not help. Insert a quick report on the sheet gives you numbers. Check that all the add-ins for Excel are installed. Inside Excel go to File – Options. at Manage: Excel Add-ins click on GO. The TM1 part is missing. Click on Browse and go to C:\Program Files\ibm\cognos\IBM for Microsoft Office folder. 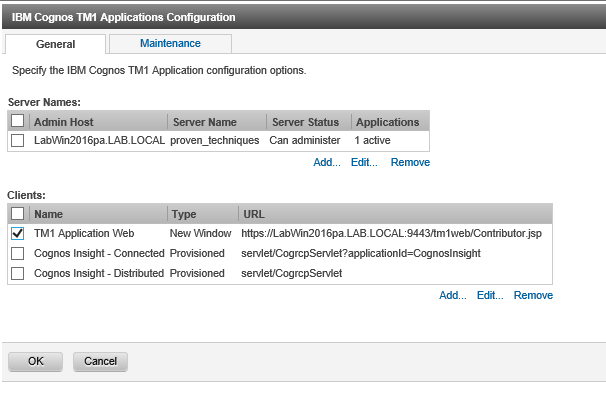 Select CognosOfficeTM1.xll and click OK.
Now you have the Add-ins you also need. Click OK.
You need both IBM Cognos Office Reporting TM1 addin and the IBM Framework for Office COM add-in to make PAX work.